A father of 3 young children is having money problems, despite the fact that his wife’s father is a wealthy farmer (“Farmer Rich,” he calls himself), and yet he longs to satisfy the consumerist impulses of his daughter who is in competition with a wealthy schoolmate. When he wins $10,000 in the lottery, instead of paying off his maxed-out credit cards, he buys a lawn make-over, including the installation of several “semplica-girls,” basically imported young woman strung up on wires. But one of his daughters is appalled by these human lawn-ornaments and sets them free—which costs the guy a lot of money he hadn’t counted on. That’s basically the story. Saunders says the idea came to him in a dream, including the word “semplica.” And it’s clear that part of the point is that these girls represent an immigrant underclass. I would go so far as to say that they represent human trafficking, although Saunders doesn’t say that in the Q&A with George Saunders. The tension here is the question we have no answer for—life is better in this world than it was for them at home, and they can send money back to help their families at home. So does that justify what we do? The same is true for the millions of people, men and women, who leave their poor countries in search of work as domestic servants and laborers in wealthier countries. The people are often quite happy because they’re working and making money. But does that make it right? The story doesn’t answer that question because it’s basically unanswerable. But I like the fact that Saunders has a go at it. The story is worth a read. No, this story is certainly not worth reading in my opinion. Issues of human trafficking can be much better addressed in fiction via a more realistic mode. Sure, Saunders and his supporters can claim that his inventiveness makes him “original” but the reason no one else uses this style is that it’s not particularly effective. Semplica girls are indeed an original concept, but I don’t believe it works here. Also, as is usual for a Saunders story, none of the characters are fully developed or credible. I thought the story clever and entertaining and enjoyed the eerie quality superimposed on a commonplace “envy the rich” situation. The bizarre form of garden decoration is hard to forget and does provoke thought about various forms of exploitation of women and children. I didn’t fully understand the story until I read several critiques, like this one. The story because of its originality must stand out as an excellent short story. I would like to have been spoon fed a little more so that I would understand it. If I read it a second time, I would have understood more, so I must share most of the blame, as the reader. If I had written the story, I would have written the same way ( if I had the ability) but tightened it and made it clearer. 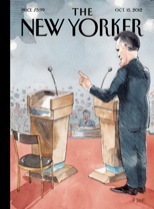 However, I defer to the New Yorker who published it, and they are the best, and have the best editors. So, my hat is off to Mr. Saunders for his talent, imagination, and having written a short story for the future. This is the worst read of my life. I am a junior in high school and my teacher is making me read this god awful story. I hate her. I hate her SOOOOOOO much. And this book. Who would dare publish such a low grade story. Please recall this writing from everywhere it has been distributed and burn them all in a campfire. George Saunders you are a nut and should be counseled instead of publishing stories. Hat’s off to you Cal, for your vehement honesty, especially hating your English teacher and telling Saunders he should be counseled rather than published. I am a retired English teacher, and read the story because Saunders is so highly lauded as a contemporary writer. If it makes you feel better, I had to look up Semplica Girl Diaries. I waited till the end of the story to see what SG meant, then reread the part where the father explains to his 8 year old daughter how they are made that way. It wasn’t until I reached this site that I realized they were lawn ornaments! I was leaning to servants. As a post script, when I taught high school English, I had my students journal daily, but I allowed them to staple the ones shut they didn’t want me to read. So you would have done fine in my class. I admired honest thoughts put on paper rather than what a student thought the teacher would like. Also, Gary Paulsen, author (HATCHET etc.) taught me in a community Ed class I took with him as my teacher, that insanity and creative writing bordering on genius are pretty close. Most writers create stories to re-create the world they don’t like or understand or feel imprisoned by. I had to read this story for class. It was a difficult read due to the voice and structure of the sentences. I was frustrated mostly, then I pictured someone writing who didn’t have English as their first language. Made more sense (or maybe a bit racist which I did not intend to be). I wish SG arrangement was explained in the story because it really was confusing.